Petroceramics S.p.A., founded in 2003 as the first spin-off of the University of Milan, has always been committed in turning the outmost recent scientific findings into innovative solutions and industry-ready technologies and cutting edge products. This ongoing commitment has lead to the development of significant know-how, innovative products and solutions. Petroceramics S.p.A. is now a stand-alone, dynamic company which develops new advanced, highly innovative materials and technological solutions for different technical sectors including automotive, surface treatments, armoured protection of individuals and vehicles, manufacturing industry and aeronautic. Our organizational structure reflects both the customer-oriented attitude, guided by agility, flexibility and efficiency criteria, and our dedication to science and technology development. Petroceramics' client-oriented approach aims at developing strategic partnership for supporting all project's steps from the development of new materials and/or processes to till putting into production. Additionally, Petroceramics carries on own internal R&D activities, which have turned into more than 15 patented technologies and materials. Our leitmotif is to turn the outmost recent scientific findings into innovative materials as well as industry-ready equipment and processes. Our state-of-the-art equipments can ensure a rapid and excellent production of small scale, customized parts as well as prototypes and pre-series. Petroceramics S.p.A. has an internal research and development laboratory which enables the rapid structural and thermomechanical characterization of both own and customer's materials including analysis services and consultancy services on ceramics and petrology. Petroceramics is also partner of several national and European funded projects. Petroceramics's team is composed of nearly 15 highly qualified researchers with expertise in several fields, including geology, materials sciences, physics, nuclear and mechanical engineering and chemistry. The annual turnover is over 2,000,000 Euros. Brembo SGL Carbon Ceramic Brakes SpA was formed in 2009 as a joint venture by Brembo S.p.A. and SGL Technologies GmbH and is active in the field of designing, developing, manufacturing and selling braking systems in general and specifically brake discs made in carbon ceramic material and installed on high performance cars; the Company is also active in the research and development of new materials and applications. The joint venture has two manufacturing plants, one located in Stezzano (Italy) and one in Meitingen (Germany). CCB is a disc made up by a core of ceramic material, reinforced with carbon fiber and covered by an additional ceramic friction layer on both breaking surfaces. Volkswagen, Porsche, Audi, Bentley, Lamborghini, Bugatti, AMG. CCM disc is a floating disc made up by a core of ceramic material, reinforced with carbon fiber. In comparison to CCB, CCM disc braking surfaces are not covered by an additional ceramic friction layer. A special feature of the carbon ceramic brake discs is represented by the ceramic composite material. This material is obtained through a particular process, which gives the possibility to add or deposit a layer of material to improve the friction coefficient on both the braking surfaces. The core and the additional friction layer are made by a composite material, which is composed by carbon fibers (reinforcement), silicon carbide and metallic silicon (matrix). Silicon carbide, the main matrix component, assures great hardness for the composite material while carbon fibers guarantee high mechanical strength resistence, providing the fracture toughness required in this kind of applications. The resulting quasiductile properties of the ceramic composite material combine the useful properties of carbon fiber-reinforced carbon (C/C) and polychrystalline silicon carbide ceramics. The deformation at breaking point of C/SiC materials ranges from 0.1 to 0.3 %. This is an exceptionally high value for ceramics. Newtec is 25 years of experience on optical microscopy and digital imaging. Since 2012 we have widened our know-how in the field of the electronic microscopy. CNRS is a French Research Agency with multidisciplinary scope; it is one of the most important actors of French academic research in sciences. The HT-CMC10 Congress benefits from technical and accounting support from the Aquitaine section of CNRS. The HT-CMC10 Congress warmly acknowledges financial support from the French-speaking Carbon Society, SFEC. The Francophone Society for Study of Carbons (SFEC) encourages interdisciplinary research on carbons with an Annual Carbon Colloquium, an Annual Prize and help on many Carbon-related congress, summer school, etc. initiatives. 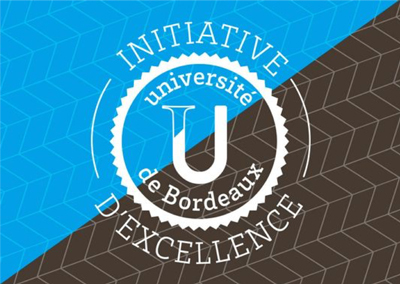 The Initiative of Excellence and the Laboratory of Excellence (LabEx) AMADEus: Advanced Materials by Design of the University of Bordeaux are acknowledged for their financial support to the event. The Bordeaux University is one of France's leading universities in Science, recognized through its Excellence labels "LabEx" and "IdEx" by the French Ministry of Higher Education. The French Atomic Energy & Alternative Energies Institute, CEA. ESCM (European Society for Composite Materials) is a European, non-governmental, non-profit scientific and engineering organisation with the objective to encourage the free interchange of information on all those aspects related to composite materials which of are interest to the scientific and engineering community, to promote European cooperation on the topic, and to encourage the education of young specialists. Support to HT-CMC10 is provided as travel grants for young attendees. To maintain and build on the current strong position of the Journal The main focus in the expenditure of Trust money is towards student/young researcher activities, but not exclusively so. This event is supported by the Journal of the ECerS Trust, a non-profit organization aimed at overseeing the expenditures passed to the ECerS (European Cermaic Society) by Elsevier, editor of its Journal. - Financial help for the Best Poster Awards. Mécamat is a French community of (industrial and academic) researchers - physicists, materials scientists, soild state mechanicians, focused on Materials and Mechanics, covering experimental and modeling aspects, from basic research to applications. Themes are : microstructure, damage mechanics, thermomecanics, behavior laws, numerical simulation, new materials, interfaces. The circulation of scientific information and the training of young researchers & engineers are important missions of this association. Safran Ceramics, part of the Safran group.